Is There Really Any Difference Between Commercial and Residential Plumbing In Houston? Everyone has had a plumbing issue at some point. It’s reasonable to assume any plumber can fix a leaky pipe whether it’s your home or your office. Water runs through roughly the same sort of pipes in your home and at work, doesn’t it? Plumbing systems are more complicated that you might think. There are numerous similarities that apply to both residential and commercial plumbing. However, there are just as many small details that make a big difference in commercial system upon closer examination. PUR Plumbing has an informative article that discusses the similarities and differences between your business and home plumbing systems. 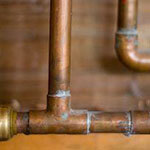 What Separates Residential and Commercial Plumbing? A commercial plumber performs slightly different plumbing tasks than those done by a residential plumber. This is not to say a commercial plumber cannot work on a residential project or make repairs in your home. Plumbing is plumbing after all, however, many commercial plumbing tasks are specialties that residential plumbers don’t have experience performing. Each commercial plumber passes a test the same as other plumbers, but the scope of work in commercial plumbing is generally different than residential. Codes must be memorized in all plumbing jobs, but they vary between home building and industrial, commercial, and factory specifications. Plumbers can adapt their skills to different plumbing jobs, but a commercial plumber who does commercial work on a regular basis will be much more adept at commercial plumbing jobs than one who has worked primarily in single family homes. For best results, it’s necessary to get the person who has the most pertinent experience. It can be likened to going to a general practitioner or a specialist. Each has a field of expertise, but they are not the same. A commercial plumber is ideally suited for work on large boilers, site sewer lines, lift stations, and plumbing used by industrial equipment. A lot of commercial plumbing jobs are more repetitive than residential plumbing is because they can be done in large plants where the same type of equipment is used for many different applications. While residential plumbing usually involves a standard 8-hour work day (with the exception of emergencies), performed 5 days per week, commercial plumbing often takes place at anytime of the day. Some commercial plumbing has to be performed on weekends and holidays to take advantage of times when the workers of the business are not on the job. Plumbers working in office buildings and on public streets in Tampa are classified as commercial plumbers. To avoid use of the water and sewer features, much of the plumbing work performed by a commercial plumber is scheduled during down time. Some commercial plumbing jobs require temporary plumbing facilities to use during reconstruction and repair of the existing features. A commercial plumber is often required to be much more schedule oriented than residential ones. When a repair on an existing building or sewer is scheduled to be completed within a 24-hour period, it has to be done well within that timeframe as numerous companies and people are depending on it to happen. Unscheduled overtime can be a common occurrence for a commercial plumber if every factor does not work out as anticipated. Commercial plumbing work is often subject to more testing and inspection than residential plumbing is. Another reason why the work schedule is so critical is because inspectors representing many different entities may be a part of the approval process.